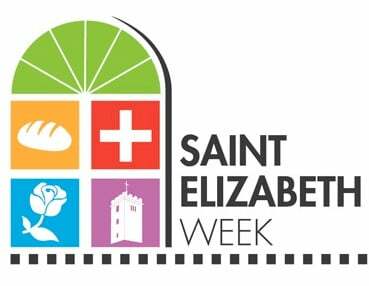 St. Elizabeth's Week is Nov. 11-16, and the Volunteer Action Center (VAC) is now accepting nominations for the St. Elizabeth’s Award for Service and the Pastor Larry Trachte Award for Service, as well as a student interest survey. The St. Elizabeth Award for Service was established in 1994 to recognize members of the Wartburg community that have exemplified a commitment to service. We invite you to nominate one or more current students who you feel lives out a commitment to service in, with, and for the community. Nominations for the St. Elizabeth’s award can be submitted here. The Pastor Larry Trachte Award for Service is given during St. Elizabeth’s Week to staff and/or faculty. You are invited to nominate one or more staff or faculty members whom you feel embody PT's enthusiasm, support, involvement, dedication and overall commitment to Wartburg’s mission of service. After 35 years of faithful service, Pastor Larry Trachte (fondly referred to as PT) retired from Wartburg College in May 2009. He taught, mentored, honored, and befriended thousands of students, faculty, staff, and alumni. Nominations for the Pastor Larry Trachte Award for Service can be submitted here. The student interest survey allows the St. Elizabeth’s planning committee to create events YOU want to participate in during St. Elizabeth’s week. You can complete the survey here. If you have any questions, please contact the VAC. Don’t miss out on this year’s Homecoming & Family Weekend t-shirts! Sales continue in Saemann Student Center, under the Shotwell Tower, on Mondays 5-7 p.m. and Tuesdays and Wednesdays 11:15 a.m.-12:45 p.m. and 5:15-6:45 p.m. T-shirts will be sold until Wednesday, Oct. 10. They are first-come, first served, so don’t miss out! Groups and organizations of all types are invited to walk, ride, or dance during the Homecoming parade on Saturday, Oct. 20. Be creative! Cash prizes for first- ($500), second- ($300), and third-place ($150) entries will be given to Wartburg student organizations. Groups can show Wartburg spirit by setting up a booth at the Renaissance Faire on Saturday, Oct. 20! A $25 fee will be applied to your organization's campus account; we will supply your group with one or two tables. Click here to register for both by Thursday, Oct. 11. Show your Knight pride during Homecoming by registering to participate in the Spirit Contest! The painter of the first-, second- and third-place windows will receive cash prizes of $200, $100 and $50, respectively (only student are eligible for prizes). Reminder: You MUST register here to qualify for prizes. Photos submitted without prior registration will NOT be eligible for prizes. Photo submissions are due Sunday, Oct 14. All students, staff and faculty are invited to join Dean Dan Kittle and the Student Life staff for Wartburg CHATS at noon on Tuesday, Oct. 9. CHATS stands for Conversation, Help, Acceptance, Togetherness and Support. It is a safe and respectful open forum where any topic is up for discussion. CHATS will be held in the St. Elizabeth Room, second floor of Saemann Student Center. Bring your lunch and join in the conversation. Contact Jennifer Onuigbo in Student Life with questions. Students interested in the Davis Projects for Peace and/or The Wicked Problems initiative, please join us for a "How to Write a Proposal" workshop, Tuesday, Oct. 9, 11:30 a.m., WBC 217. The Wartburg Incubator is a social entrepreneurship program designed to allow Wartburg students to tackle wicked problems through interdisciplinary and innovative approaches. The incubator hosts the annual Wicked Problems Challenge. If you have a passion for solving the world’s problems, consider submitting a proposal. We will select winners, help them incubate their ideas, and provide start-up funds to get their project off the ground. Successful projects may be connected with outside funding sources. Davis Projects for Peace will be due in January 2019. A Coming Out Panel featuring members of Wartburg College and special guests will be held Thursday, Oct. 11, at 7 p.m. in Buckmaster WBC 214. On Friday, Oct. 12, from 7 to 9:45 p.m., Alliance will host a movie night in the Clinton Hall theater room. Meet some new people, see some new places, and make a big difference by applying to lead a service trip! Service Trip Leader Applications for Winter Break and Tour Week are now open! Applications will close Friday, Nov. 9. Use the links below to apply. Wartburg College Service Trips is also opening up some executive team applications, including student director, fundraising coordinator, and marketing coordinator, for the upcoming 2019 winter semester. Applications will close Friday, Nov. 2. Use this link to apply. The October meeting of the American Association of University Women (AAUW) will be held Thursday, Oct. 11, at 7 p.m. at the Waverly Senior Center, 506 E. Bremer Ave. Guests are always welcome to attend the meetings and this month the group will be discussing the book “This Fight Is Our Fight,” by Elizabeth Warren, while enjoying some wine and cheese ($3). If you haven’t read the book, the group’s website highlights some web discussions on the book. The website also showcases the monthly meeting schedule with an overview of the topics and speakers. Please RSVP to Karen Lehmann if you plan to attend or have any questions. Do you love sports? Do you watch and read media coverage of sporting events and believe you would enjoy covering the event? The Trumpet newspaper staff is in need of sports writers, who are paid per article and can work toward paid editor positions in the future. Contact the editor and advisor by sending an email to trumpet@wartburg.edu. Notes from the Sept. 27 Presidential Forum are now posted on InfoCenter under President’s Reports. The next speaker for the Wartburg Philosophical and Literary Society is Dr. Justin Schedtler, assistant professor of religion. The title of his talk is Apocalypse: Knowing and Perceiving in the Age of Trump. The talk is Friday, Oct. 12, at 4 p.m. in McCoy West in Saemann Student Center. Refreshments will be provided. The next Math, Computer Science & Physics (MCSP) Department Seminar will be held Tuesday, Oct. 9, at 11:30 a.m., in Room 134 of the Science Center. Jeannie Dees '19 (mathematics) will discuss her experiences with the Urban Studies Program in Des Moines in her presentation, "Don't Count Yourself Out." Seth Jobes-Ryan '19 (actuarial science and economics) will speak about his internship at Transamerica in a talk entitled "Introduction to Actuarial Science." All are invited, refreshments will be provided. The Summer Leadership and Service Summit is looking for Wartburg students to mentor high school students June 22-29 and July 13-20, 2019. Mentors can apply for one or both sessions. Applications and a detailed description are available at www.wartburg.edu/lss-mentors. The position benefits are a $400 stipend, room and board during the summit, and 0.5 credit for completing LS 315, which is required during Winter Term. Contact Ashley Lang with questions. PowerSack (assortment of chips, candy, granola bar, Gatorade, etc.). Last year, the group gave six $1,000 scholarships. Click here to see details and place an order. A few spaces remain available in the Japan May Term course (GM 232). The class will focus on Japanese culture and how traditional beliefs, religion and the supernatural persist in legends, landscapes and rituals, in busy modern cities as well as remote mountain forests. For information and course registration, contact Dr. Joyce Boss. Student Senate had its first meeting last Thursday. To read the minutes from the meeting, click here. Starting this week, students should be getting weekly minutes from your floor representatives; if you have any questions about Senate please email senate@wartburg.edu. Please visit the Wartburg Chapel Crowdfunding site and help raise the money to improve the sound in the balcony of the Chapel and install projection equipment. Please share the link with all that you know on social media, and encourage them to learn more and donate if the Chapel has impacted their life. You can find out more at the link. Visitors will get a taste for life as a seminary student and as a member of the Lutheran School of Theology at Chicago community Saturday, Oct. 20, through Monday, Oct. 22, or for our Seminary Sampler Night on Wednesday, Nov. 14, whether it’s for an evening or several days. Housing and meals are provided! Travel stipends and childcare are available. Visit www.lstc.edu/admissions/visit to register.